The future always begins today, and home automation is no stranger to that concept. In order to build a future where every action is seamlessly integrated with efficiency and convenience, we need to begin now. Home automation, and the quest for building a smart home, will play a major role in defining the future. There are many unnecessary home automation devices that are crowding the market today, which makes it harder for consumers and homeowners to pay close attention to what they need. Most homeowners use convenience, safety, and efficiency as benchmarks to determine which home automation devices they should use to craft their smart home. However, not every homeowner knows what to look for when they decide that they want to automate their home. Luckily enough for such homeowners, we will walk you through the products you need to make your home smart, and exactly which futuristic and best-selling gadgets will help you achieve this. The Ring Video Doorbell automates one of the oldest components of any home. The doorbell has always been the traditional method for notifying homeowners that someone is at their door. With the Ring Video Doorbell, home security is fused with one of the most traditional components of the home, and it makes for a wonderful home automation device. 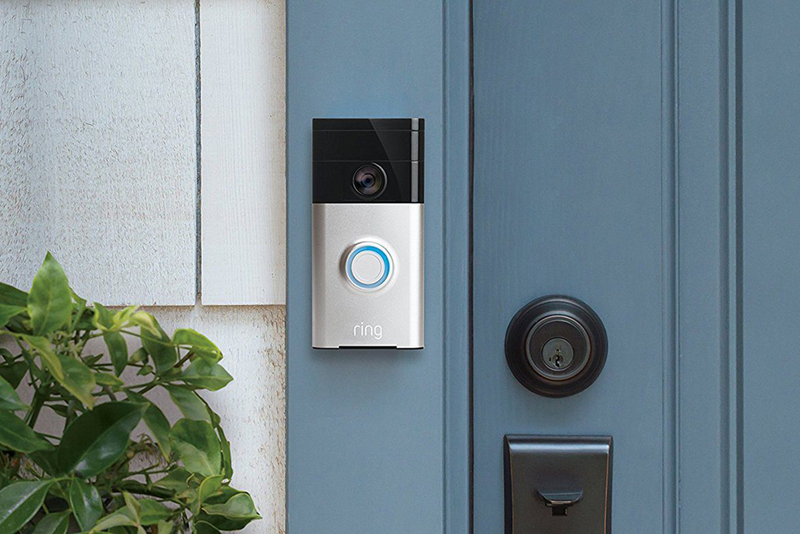 The Ring doorbell connects to a homeowners Wi-Fi network and notifies them when someone presses the doorbell, or even when someone is approaching the door. This helps homeowners have a better grasp over their home security, due to the fact that it alerts you to potential danger instead of alerting you once it is too late. In addition to these features, the Ring doorbell is easy to install, and it is also rain resistant and stands up to extreme heat. The doorbell works in conjunction with a mobile application that allows homeowners to remotely control the functions of the doorbell and live stream the feed from the surveillance camera. It is important to make yourself familiar with some basic guidelines to owning a security camera before you invest in the ring video doorbell. The Schlage Sense Smart Lock is an embodiment of everything that a smart lock should be. Smart automated devices are mostly geared towards increasing comfort and providing their owners with more convenience, but they also need to be capable of performing their primary functions. The Schlage Sense does just that. The Schlage Sense is able to detect when someone unlocks the door via keypad, or if they unlock it with the use of the key. It also has a built-in siren that is activated if anyone tries to forcibly open the door. In addition to these amazing features, the Schlage Sense comes equipped with an ANSI Grade 1 deadbolt, which is the highest rating a deadbolt can receive. 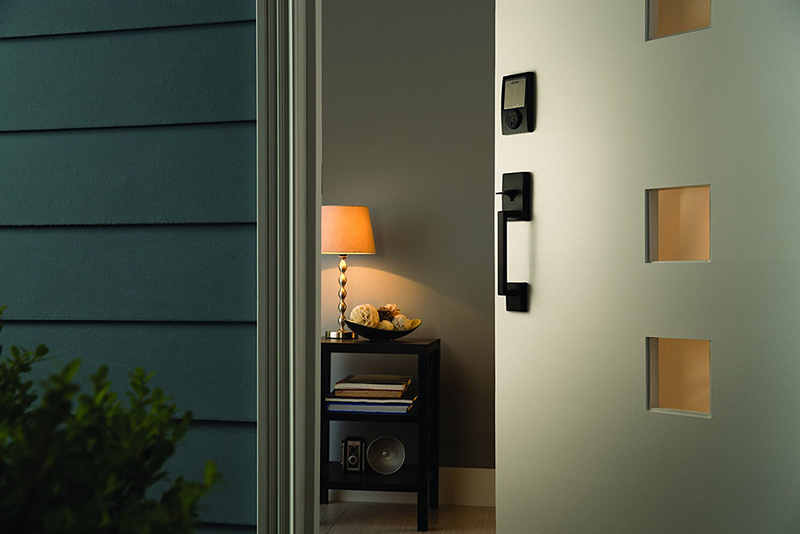 The lock boasts a sleek design, and allows homeowners to remotely control its function via the Schlage Sense app. This smart lock beats out its competitors because it does not sacrifice its quality for the sake of convenience. The lock cylinder that it comes with is immensely robust and truly helps to keep your home secure. This lock is a great addition to any smart home and any professional locksmith can help you with the smart lock installation if you need it. The Nest Learning Thermostat lives up to its name and does so much more, which is part of the reason why so many homeowners love it. 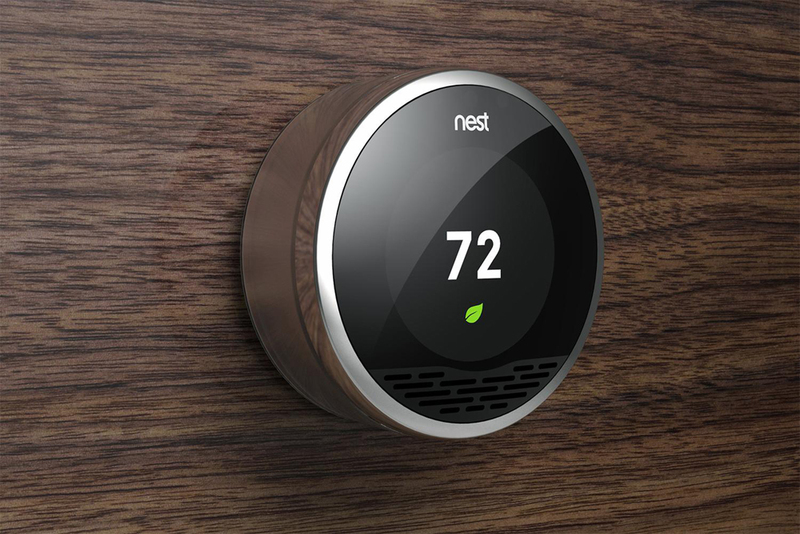 The Nest thermostat works well with several different heating and cooling systems. These vary from gas, electric, forced air, solar, geothermal etc. Whatever the heating or cooling source may be, there is a good chance that your Nest Learning Thermostat will be able to work with it. Why is it called a learning thermostat? Simply because it learns your habits and adapts to them. This affords you true comfort and convenience. Imagine if you will, that you like to wake up to a cool home during the summer or fall asleep to a warm home during the winter. If this is the case, the Nest thermostat monitors your habits based on the settings you choose. It then begins to automatically apply these settings every day, so you no longer have to worry about constantly shifting the climate control settings. In addition to this, the Nest thermostat can be integrated with other smart home devices. It can also notify you if there is something that might be a potential safety hazard within your home. The Nest apparently pays for itself. Since it saves you so much by conserving energy, the price you pay for it ends up being returned to you. 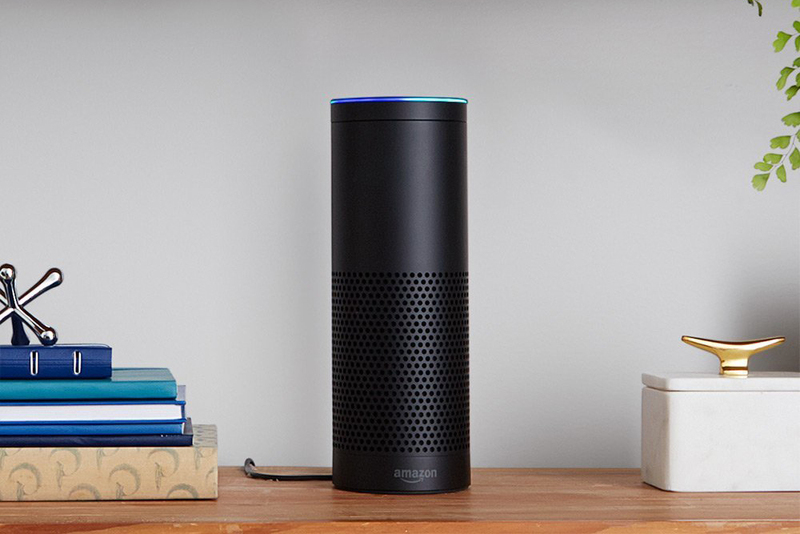 The Amazon Echo is much more than just a speaker, even though that is its primary function. The Echo doubles as a voice activated device that also works as a home automation integration device. The Amazon Echo comes equipped with a voice-activated personal assistant named Alexa, who helps homeowners navigate several tasks within their homes. The Amazon Echo can play music from many streaming services as well as help you unlock your front door or turn on your smart thermostat. The possibilities are truly endless with a device like this, and you can bet that Amazon is only getting started. Automated lighting is probably one of the earliest forms of home automation still on the market today. Ever since it became a viable action, several home automation companies have worked to perfect a light bulb that is truly responsive, and does more than simply illuminate a room. 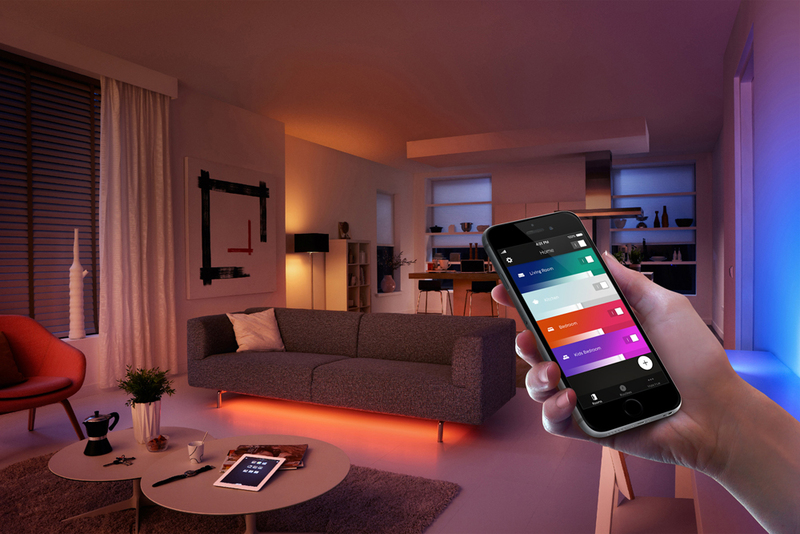 The Philips Hue connected bulb allows homeowners to control their light bulbs wirelessly. It also gives them the opportunity to customize their light intensity, and functions to specific habits and times. This bulb allows homeowners to set timers for the individual bulbs that are set up within their homes. The Internet of things draws its strength from the need for interconnectivity between devices in order to make ordinary tasks safer, faster, and sometimes, a lot more fun. Home automation and IoT go hand in hand. They have given many families the ability to monitor the state of their homes from any location on earth and remotely control the actions that transpire within their homes. The advent of home automation and IoT helped revolutionize the state of home security, and now smart home security systems are pretty much the norm. Smart home security systems work like many other home automation devices by connecting to a Wi-Fi network that enables users to have remote access to the security system. These security systems typically come with an array of sensors and monitors, which collect data from several points in your home and relay them through to the central controller. 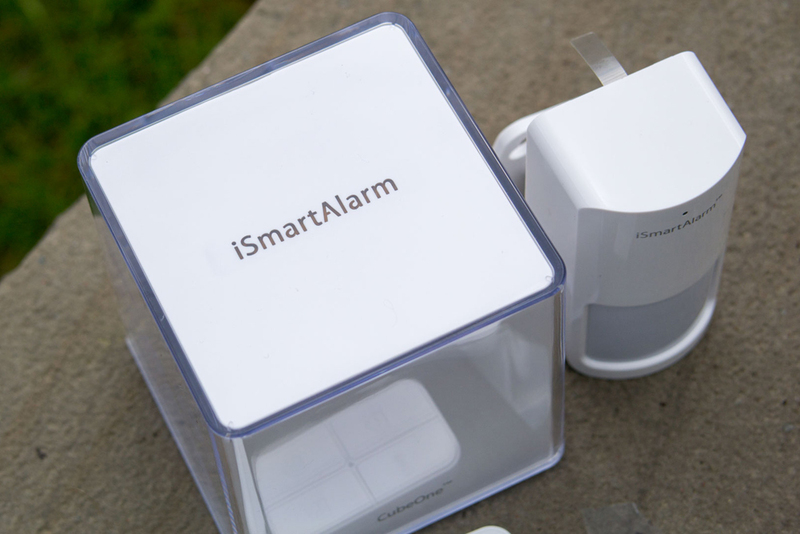 The iSmartAlarm system gives homeowners the chance to take a crack at an easy DIY installation. This security system is able to support multiple automation protocols, and works well with other devices and sensors. A smart home cannot truly be integrated without a security system that helps you monitor your safety remotely and conveniently. And this system helps reduce the chance of getting blindsided by burglars. 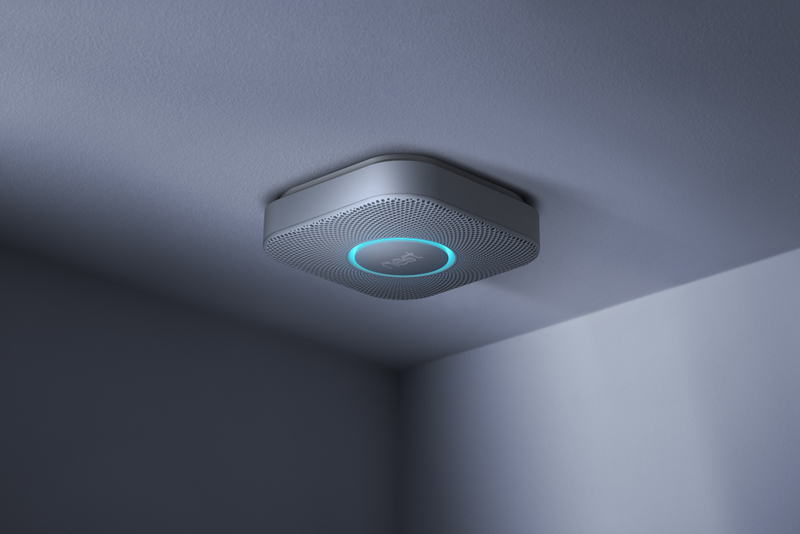 The Nest Protect smoke alarm has been a hit with many homeowners, and it continues to grow in popularity. This comes as no surprise, as it joins the Nest Learning Thermostat in leading the way to a truly smart home. The smoke alarm senses danger before you do, and works to notify you beforehand with an efficiency that other smoke alarms will grow to envy. This smoke alarm offers its users a seamless setup process and allows them to control and monitor the alarm from their smartphones and tablets. There are two models for homeowners to choose from, which include the battery powered smoke alarm or one that you wire into your home’s circuitry. The Nest Protect is able to send notifications straight to a homeowner’s device (similar to locks that you can control with your smartphone), which helps notify them even when they are not home. In addition to this, the alarm is able to test itself and make sure that each of its components are in working order, which makes the entire process much more efficient and convenient for homeowners. It should come as no surprise that another Nest home automation device has ended up on this list. If you can’t tell by now, they make pretty solid stuff. They are among the few companies that have several available home automation gadgets, and this is another quality product of theirs. The Nest Cam is a surveillance camera that gives its owners seamless installation and integration. It can also be controlled and viewed right from the palm of your hands. This ensures that users are not spending any time worrying about the state of their securitybecause they can constantly be monitoring it. The Nest Cam boasts superior 1080p video output, as well as integration with other smart home devices if applicable. For homeowners that have the Nest Learning Thermostat and the Nest Protect, connecting these devices to each other is simple. This integration gives you a much wider security reach, and increases your levels of safety and comfort. 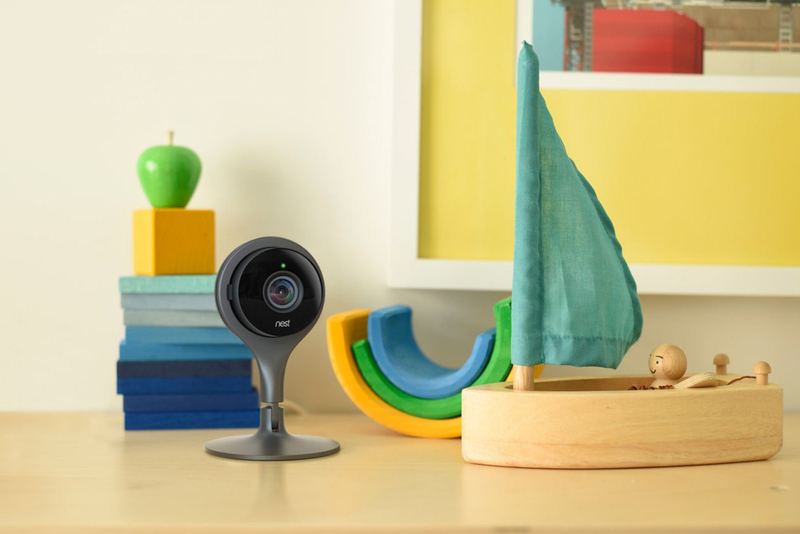 The Nest Cam works with the Wi-Fi network that is present in your home. It also has two-way audio capabilities that give homeowners the opportunity to communicate with people in their home even when they, the homeowner, are not present. Setting up the Nest Cam is relatively easy, and involves either placing the camera on a stand or on an easily attachable wall mount. The camera’s sleek design, video output, and audio features, coupled with the easy installation process, have made it a big hit among homeowners. Home automation controllers, or control units, come in handy when homeowners have an array of different home automation devices installed throughout their home. The ideal home automation controller should be able to support multiple automation protocols and work exceedingly well with IFTTT (If This Then That) integration. These applications and protocols are some of the building blocks of home automation, and the Samsung SmartThings is one of the few controllers that is able to play nice with all of them. 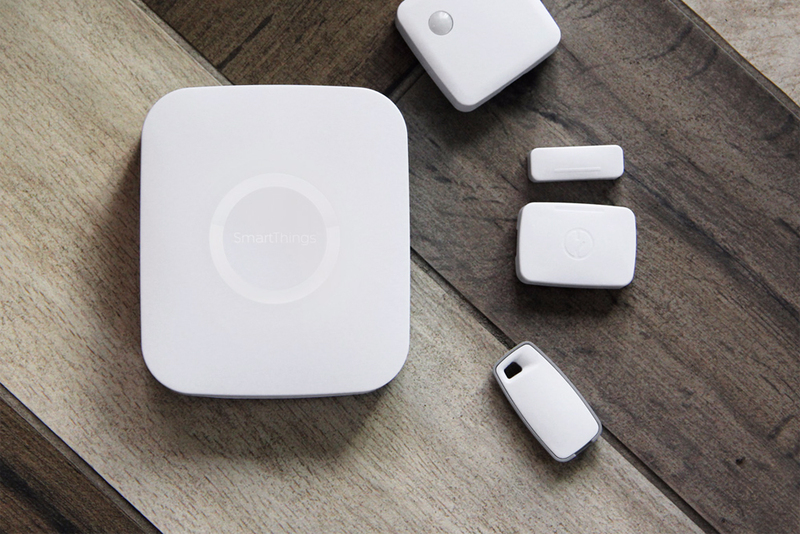 In addition to working well with the numerous home automation protocols and devices on the market, the SmartThings Hub boasts a back up battery and connectivity to the Apple Watch, Amazon Echo, and numerous other devices. This hub gives homeowners the comfort of being able to control their home automation devices from a central location rather than having to assign each of their tasks separately. As more and more homeowners gravitate towards convenience, the easy installation process of the Samsung SmartThings Hub is also a major selling point for the device. 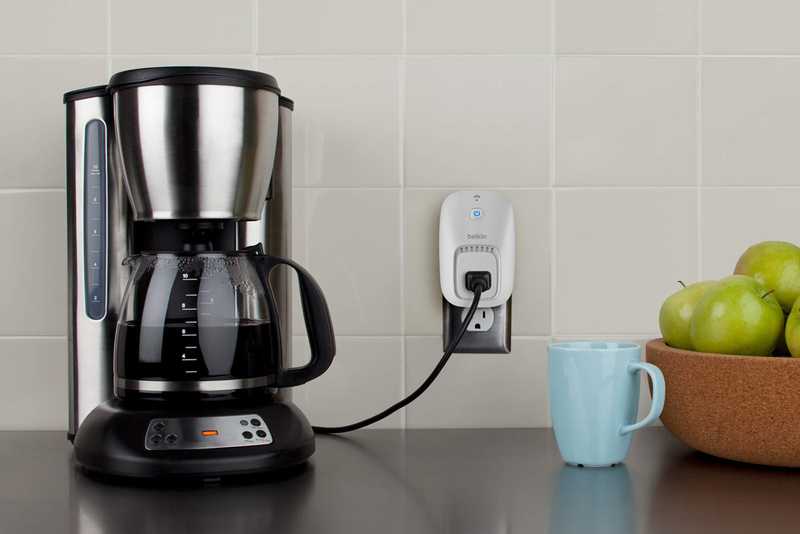 The Belkin WeMo Switch is a nifty little gadget that gives homeowners control over their power outlets. This product essentially gives users the ability to automate just about any device that needs to be plugged into a power source. The Belkin WeMo Switch works in conjunction with the WeMo mobile application, and together they give homeowners an easy to follow installation process that will see them remotely controlling anything from night lights to televisions. In addition to these features, homeowners can program specific times for items in their homes to power on and off, which helps conserve energy. It also works well with other home automation devices, so you can set up you WeMo Switch to turn on the light in your hallway once the front door is unlocked. The possibilities are endless and the WeMo Switch helps feed your imagination. Most homeowners do not think of garage doors when they begin the quest to turn their houses into smart homes. Many people automatically start with their front doors, surveillance systems, and lights, paying little or no attention to their garage doors. 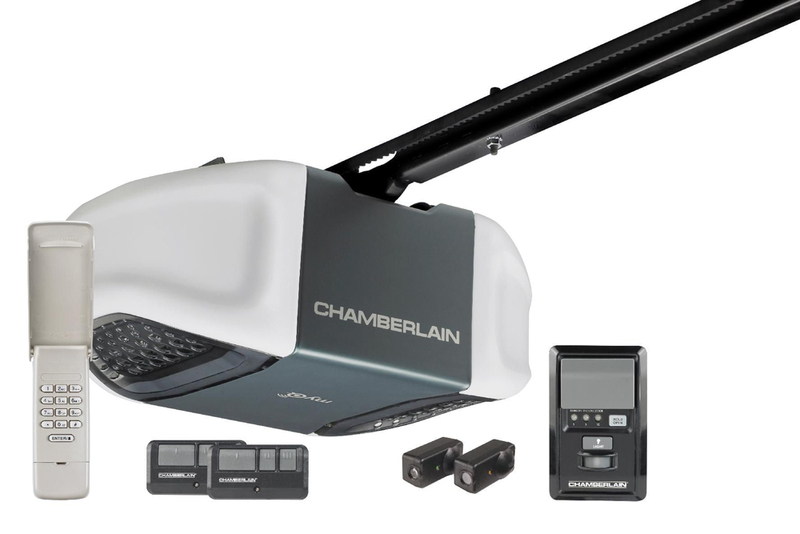 However, Chamberlain’s Premium Whisper Drive garage door openers effectively put garage doors on the home automation map. Chamberlain understands the importance of garage doors, and the company works to make the process of using one secure. The Whisper Drive can be controlled with a smartphone through the use of the Chamberlain app and it can be integrated with other automation devices. Also, the chamberlain Whisper Drive employs the use of a rolling code mechanism which makes it much harder for burglars to hack into your garage door opener. Chamberlain understands that your garage door should have as much security as any other entry way within your home, and they do not disappoint. The Honda Miimo is not a home automation device in the most traditional sense. The Miimo does not give you the option of controlling your lawn mower from the comfort of your smartphone, but it does relieve you of the immense work that goes into mowing your lawn. 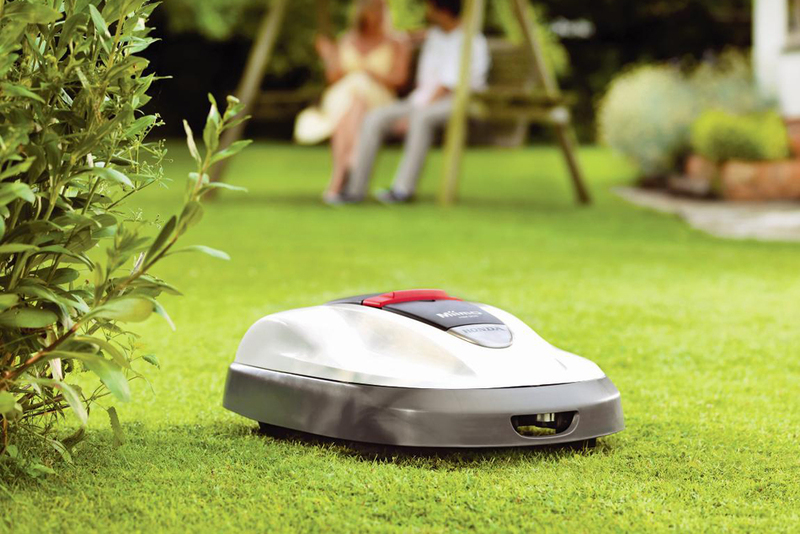 The Honda Miimo is a lithe cutting machine that mows your lawn for you. All you have to do is program it, set it down, and then watch it go to work. The Miimo works in different modes as it glides around your lawn and garden avoiding obstacles as it moves along. With all the gadgets and tech listed above, the Miimo will be a welcome addition to any smart home. Even though it cannot be remotely controlled or integrated, it still makes an everyday task autonomous. And that is still pretty awesome in my book. There are a plethora of devices that populate the market that can be thrown together to make your home a smart home. However, before homeowners go on a rampage buying every device that they can control with their smartphones, they need to understand that some devices might work better than others will. There is no such thing as a universal home appliance, because there is something unique about every home. For this reason, each home will need a little something different. Homeowners should plan ahead to see what exactly they want to automate, and what they need to accomplish this. In order to choose the right appliances for the job, consult a professional. Improper application or product choice can cause long lasting damage to an integral component of their home. 5 Best Bluetooth Locks To Complement Your Smart Home How Much Force Can Your Deadbolt Withstand?